Groups support $60 million in additional funding for the Washington Department of Fish & Wildlife, including modest fee increases and $45 million in General Fund appropriations. Washington Department of Fish & Wildlife Budget and Policy Advisory Group leaders are in Olympia lobbying for full funding for Washington’s wildlife heritage. Read their letter to state lawmakers below, and then send a message to your elected officials to support funding for wildlife and outdoor recreation using our simple form! We support $60 million in additional funding for the Washington Department of Fish & Wildlife, including modest fee increases and $45 million in General Fund appropriations. Diverse interests have come together to address the unprecedented risk to Washington’s fish, wildlife, and natural lands created by chronic underfunding of the Washington Department of Fish and Wildlife (WDFW). We are members of the Department’s Budget and Policy Advisory Group, convened in response to a 2017 budget proviso obligating WDFW to scrutinize its operating and financial practices. 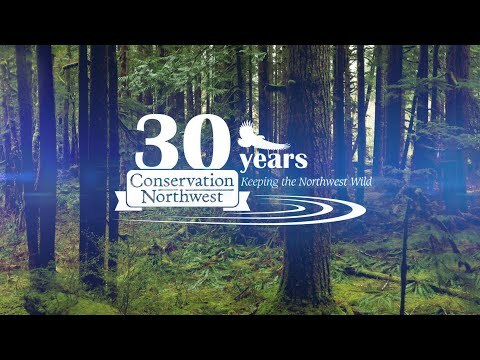 This statment describes our views as leaders and stakeholders and our support for $60 million in additional WDFW funding this biennium, including at least $45 million from the State General Fund. The Department is efficient and compares well with agencies in other states. This was concluded through a legislatively-mandated evaluation by an outside management consultant. WDFW’s management is not the cause of its budget shortfall. The Department’s broad mission reflects the public interest—from hunters and wildlife watchers to hikers and anglers—but its budget does not. WDFW funding across the board has simply not kept up with demands. Spending on wildlife diversity and outdoor recreation is particularly lacking, representing less than 4 percent of the Department’s budget and only a small share of General Fund appropriations to WDFW. This inequity must be addressed while still providing ample hunting and fishing opportunities, consistent with the Department’s diverse mission. The Department confronts extraordinary challenges that warrant support. Compared to other Western states, Washington is the smallest, has the least amount of public land, and its human population is among the densest and fastest-growing. Most of the population lives in watersheds that drain into Puget Sound, where our southern-resident killer whales face extinction along with their primary food: Chinook salmon. Other imperiled species from lynx to sharp-tailed grouse require substantial recovery attention. The world is changing, and WDFW must be given the resources to evolve and meet these challenges if it is to provide abundant fish, wildlife, and recreational access for Washington residents now and into the future. Investment in fish, wildlife, and healthy natural lands pencils out for the state. To pursue fish, wildlife, and inspiration, we depart cities to spend hundreds of millions of dollars in areas like La Push, Ilwaco, Wapato, Wauconda, and Chewelah. The taxes on these expenditures flow to Olympia, and into the State General Fund. While WDFW received $94 million in State General Fund appropriations this biennium, a Department of Revenue report published in August of 2016 estimated that its work, leveraged with other Department fund sources, will generate $340 million, a return of greater than 350 percent. We care, and we’re coming together for change. To succeed, the Department requires at least $60 million above its present funding (not including expected orca recovery needs), half to fix the shortfall created by the state legislature in the last biennium, and half to invest in the future by helping correct inequities and the damage caused by a decade of underfunding. We support the Department’s request for a modest increase in user fees, which would raise a quarter of the money needed. The rest must come from the General Fund. Governor Jay Inslee’s budget request is a good start, but it failed to address the most underfunded components of the Department’s work: fish and wildlife conservation and habitat improvements. We request these items ($12.9 million and $4.2 million, respectively) be funded along with the amounts in the Governor’s operating budget request. MORE INFORMATION ON WDFW’S 2019-21 OPERATING BUDGET REQUEST IS AVAILABLE HERE. READ MORE ABOUT THE BPAG PROCESS AND THE GROWING CHALLENGE FACING OUR STATE’S WILDLIFE AGENCY IN THIS BLOG FROM MITCH FRIEDMAN, OUR EXECUTIVE DIRECTOR.